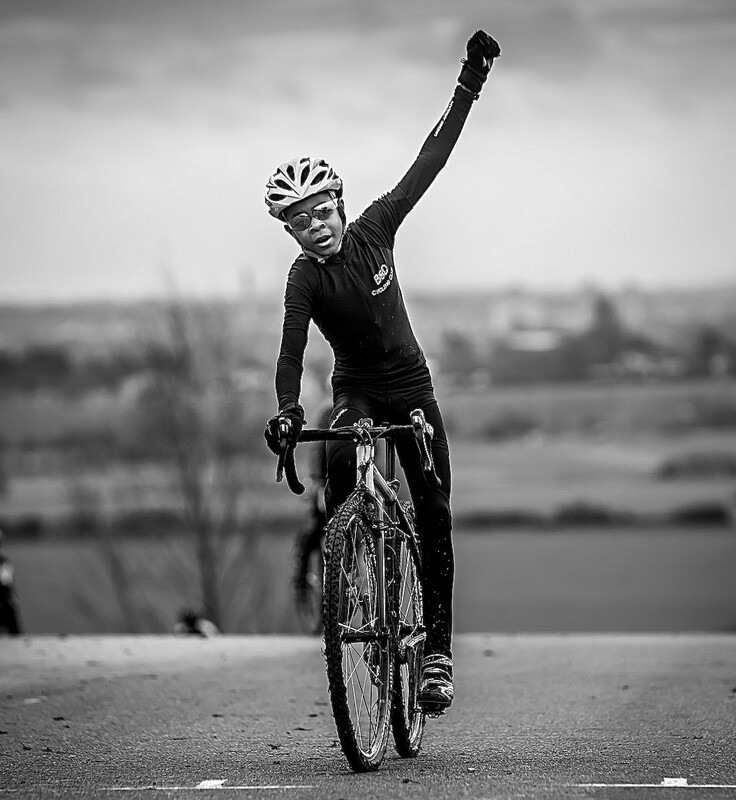 Racing two cyclocross Leagues and emulating last years Eastern and Central under 12’s winner Joe Kiely (Welwyn Wheelers CC) was always going to be a tough ask, but CJ wanted to try and replicate last seasons achievement. Now that would mean racing almost every weekend and sometimes back to back days in the saddle not to mention the fuel costs as we traversed the south and south-east of England, though he requested the challenge and as long as his homework was up to par, the die was cast and he would go hard until the end of January to achieve his target in the London and Eastern Cyclocross Leagues. 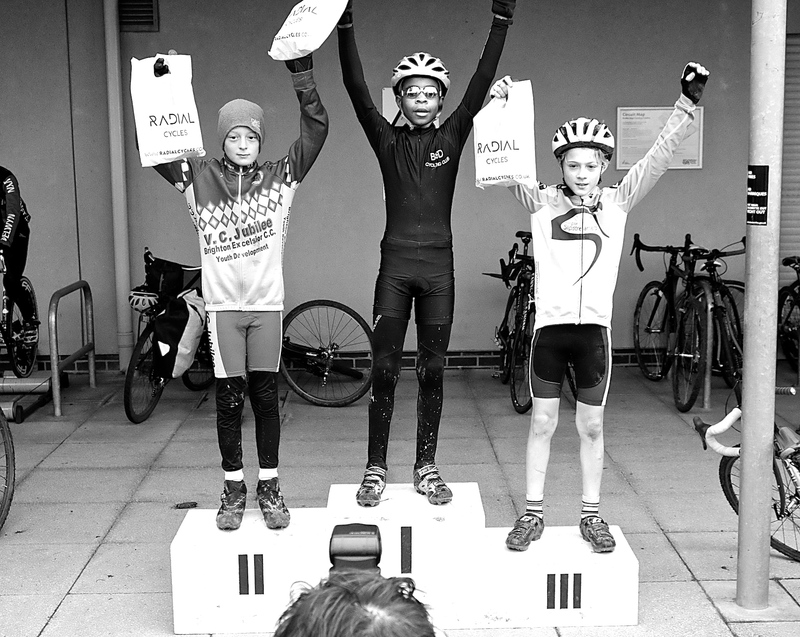 So far with approximately 16 races under his lycra things have been going reasonably well since September and CJ holds the highest win averages in both Leagues, though first there was the ’small’ matter of trying to win the Eastern and South Eastern Regional Championship event. The Championship is a one off race that incorporates both Leagues racing at alternate chosen venues annually and this year Eastern were the hosts, plus being held at our home circuit of Hog Hill aka The Hoggenberg and organised by Chris Clague of London Phoenix CC who was sure to throw up a course with a whole lot of pain included. 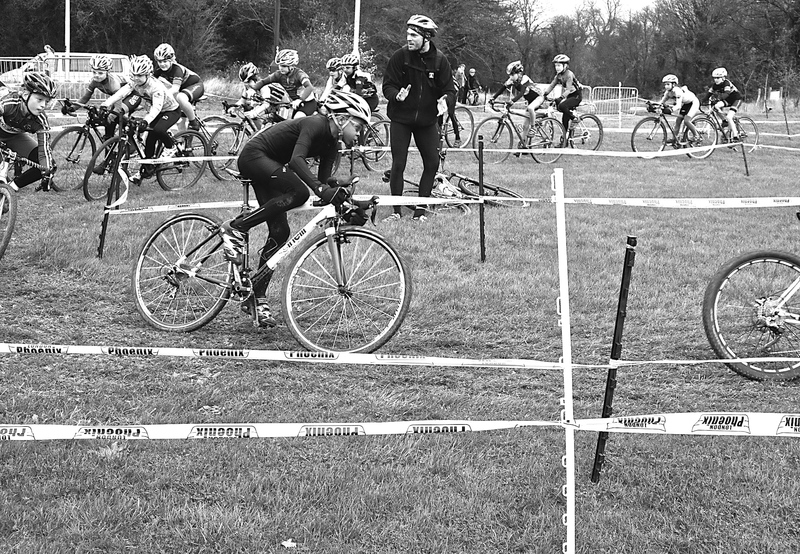 Also, for good measures the tail end of Storm Desmond was still in effect and we wondered what would be left of the course set up the day before plus riding into a 40 mph headwind was sure to play havoc on the racers. Luckily on arrival it appeared that only minor work was required to the course before the action started and CJ was happy with his warm up laps. Also, he quickly surmised that the race would probably be decided on the two devilishly leg sapping road climbs that were included in the mix of the flowing and tight technical sections. 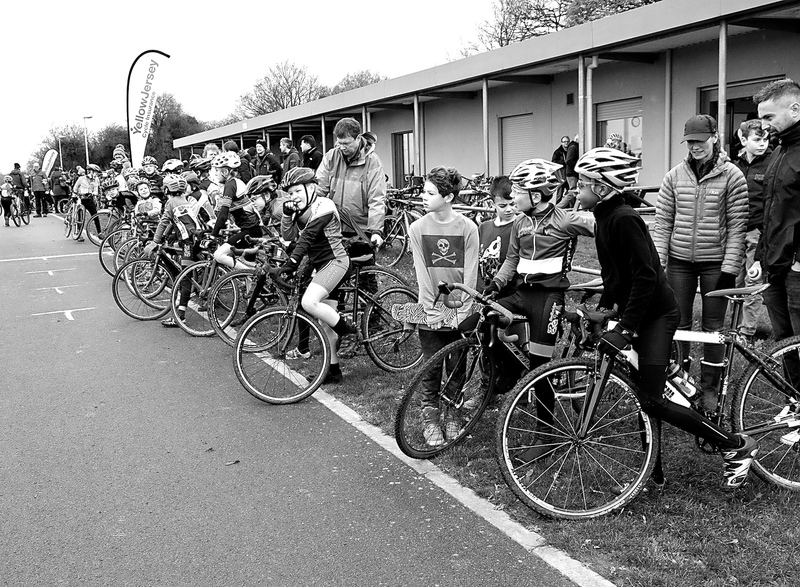 With 35 racers consisting of clubs from as far afield as Hertfordshire, Kent, Middlesex, Essex and Sussex CJ was slotted on the front row of the grid alongside long time friend in racing Stanley Boyd of Cycling Club Hackney. 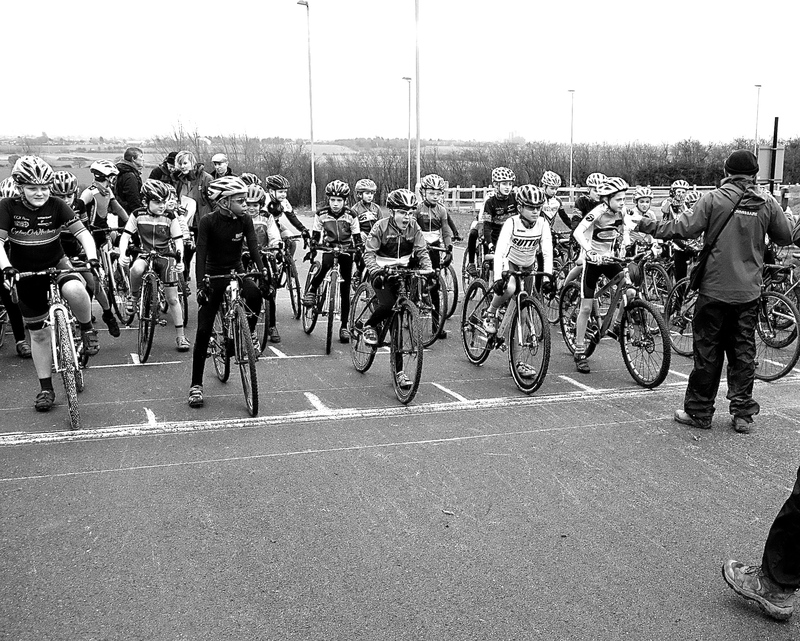 Now after the commissaire read out the formalities it was boom time with CJ not fighting for the hole shot and just looking to be in a top three position to cover any possible attacks or breaks as he knew the climbs that have been a constant backdrop in his life would deliver the the Coup de Grace. 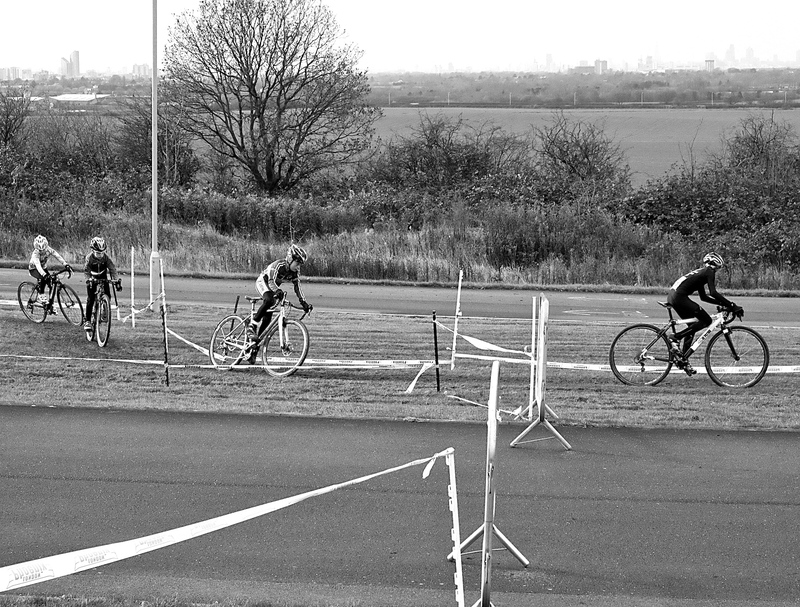 From the first downhill corner CJ held the wheel of George Fowkes (Hillingdon Slipstreamers) as he made steady pace in the technical sections with Ferdie Parsons (VC Jubilee) on his wheel before the first road climb approached. 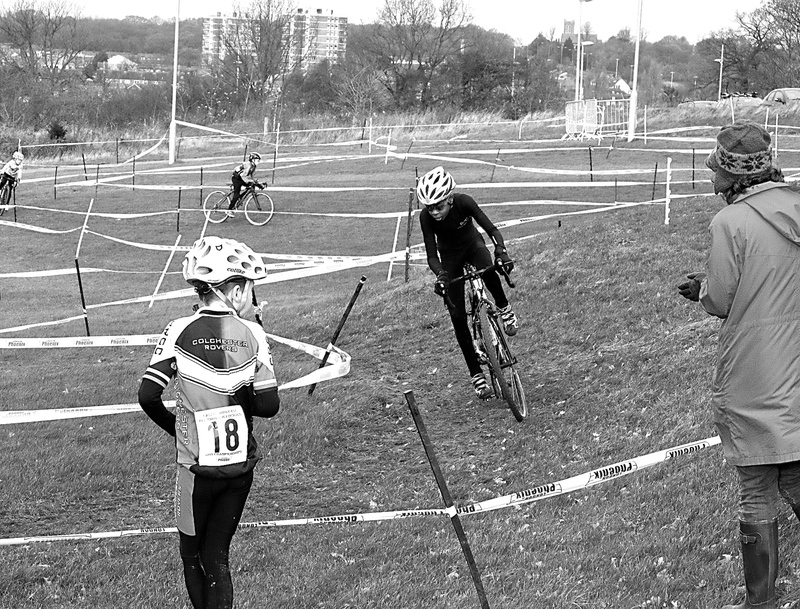 As planned CJ lit his first match and attacked the climb at full pace out of the saddle into the wooded section and by the next climb leading to the start line a three second lead opened up against Parsons who doggedly went with him. 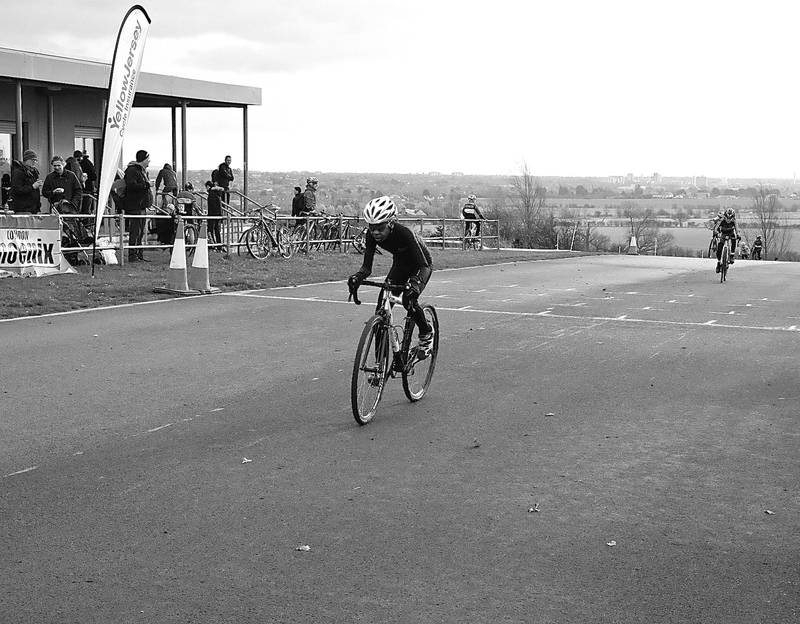 For the next few laps CJ used each climb to eek out more seconds against his adversaries and a lead of approximately 30 seconds was established as back markers started to come into play. Also, riders were falling coming from the wooded area to the slippery tarmac section, so CJ had to compromise speed against safety as both factors could ruin what was looking like a perfectly executed race plan as he gave up a few seconds to stay upright. Eventually after six laps the bell sounded and with lady luck the title would be his though after his last race where we had to change a wheel before he took victory nothing was being counted out for sure. Shortly the flag was out and ace photographer Huw Williams (more pics here) was in position for the money shot as CJ crossed the line raising his hand in celebration after a hard fought win. The podium presentation was a happy moment and as lady luck would have it as we left CJ noted that his front tyre was flat. Lastly, these kids put a lot into racing in a hard sport and it’s not all mud, sweat and gear but blood, sweat and tears at times. Ciao for now.